As usual I didn’t pay for this book but instead received it free in exchange for a review, this time from LibraryThing. Also as usual I leave my scrupulously honest opinions below. 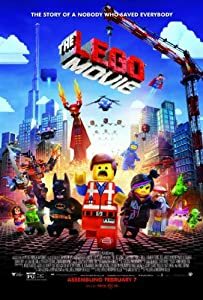 So, I’ll take a chance and just go all-out spoilers on this one because if you’re reading this review you’re probably not in a whole lot of suspense anyway. Long story short, princess finds a dragon who’s fat and can’t breath fire so he’s an outcast. So the nice princess puts the dragon on a work-out routine to shed all that unwanted “blubber” and get into shape so that the other dragons will like him. I really appreciate what the author is trying to get at here, but the moral of this story really comes across to me as: “Change who you are so that people will like you.” That is really not the message that you want to send to children who might be a bit on the heavy side (or any other side for that matter). Beyond that, the text is rather disjointed and the art work is OK but suffers from poor layout on the Kindle. In summary, I’m not letting any child of mine read this. Yikes. 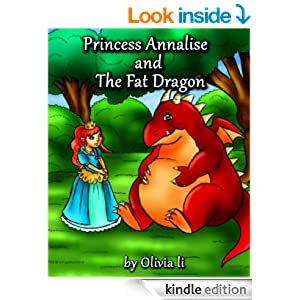 Thanks for reviewing my book: Princess Annalise and The Fat Dragon. I am sorry if you are thinking the moral of the story is: “Change who you are so that people will like you.” When I wrote the book I never thought comparing the fat dragon with the fat kid. I just thought the fat dragon getting skinny is funny but I never ever thought about comparing to a fat kid. 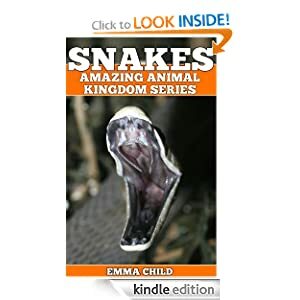 So I really appreciate if you would like to change your review about my book. Firstly, I understand your concern and I don’t think that it was your intent to compare the fat dragon with fat children. The problem is that it’s not really about your intent in this case so much as the message that other people will receive when reading your book. Kids at a young age don’t make that distinction between talking animals or dragons and themselves. If you show this book to a child with a weight problem, they’re probably going to feel bad and think that in order to be liked by anyone else, they too have to lose the “blubber” as you put it in the book. Similarly, if you show it to a child without a weight problem, they’re going to see every overweight person as someone who needs to lose weight. I’m not debating obesity but I would not want such a message put in front of my child because it’s OK for people to be who they are and they don’t need to change themselves so they will be liked. Other reviewers may disagree and I welcome the discussion but I’m not going to change my review because of what you intended to write. I can’t review your book based on your intent. I have to review it based on the words on the page and how I think they may strike a reader. In this case, I don’t think this is a positive message so I cannot give it a positive review as a book to be read to young children. I’m sure that must be a disappointment but I have to be honest with the people who shop on Amazon and give my honest opinion. So what say you? Go visit the review on Amazon and make your voice heard!